The name couldn't be more fitting... 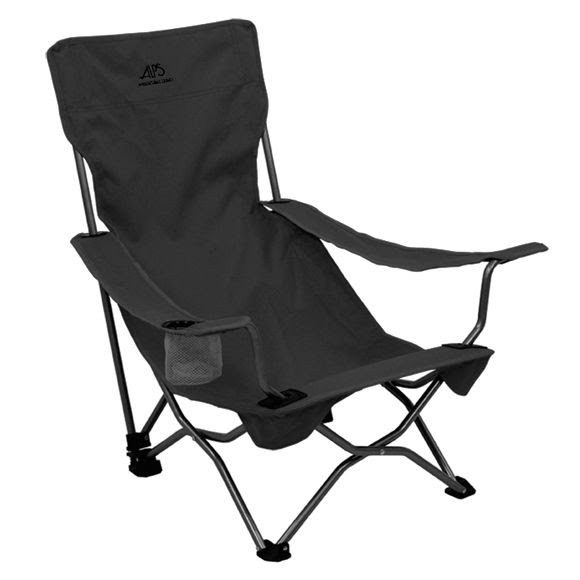 If you like relaxing on the beach, listening to the waves roll in, the Getaway from Alps Mountaineering will be the perfect chair to escape to. Although available in two fabrics, polyester and mesh, either choice will provide the comfort you need to unwind and enjoy the scenery. The name couldn&apos;t be more fitting... If you like relaxing on the beach, listening to the waves roll in, the Getaway from Alps Mountaineering will be the perfect chair to escape to. Although available in two fabrics, polyester and mesh, either choice will provide the comfort you need to unwind and enjoy the scenery. If it&apos;s a hot summer day, the Mesh option will be your best choice for maximum air flow and there is an arm cooler attached to keep your beverages cold. To make transporting as easy and convenient as possible, there are two straps on the included carry bag, so you can wear it like a backpack and keep your hands free for other things you may want to carry. Measurements 31" x 22" x 29.5"